Task lists. We all have them, but only some of us actually use them. 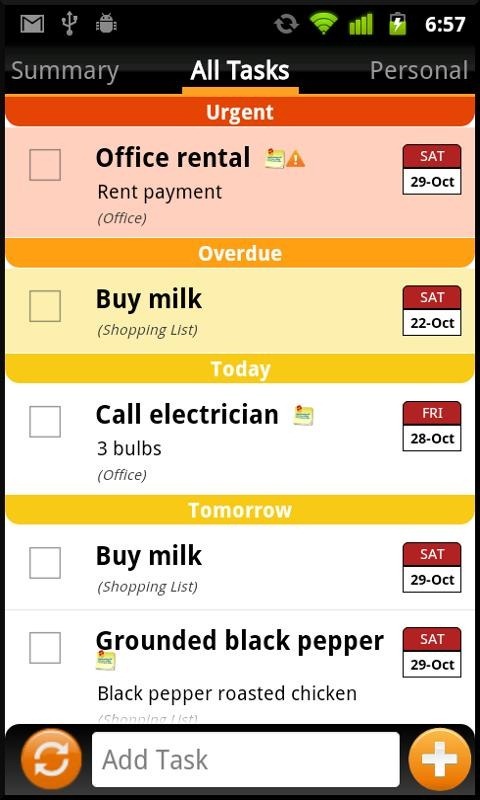 One key way to ensure that you use your task list to its fullest potential is to keep it synchronized between all of your devices. So, how do you do that, you ask? 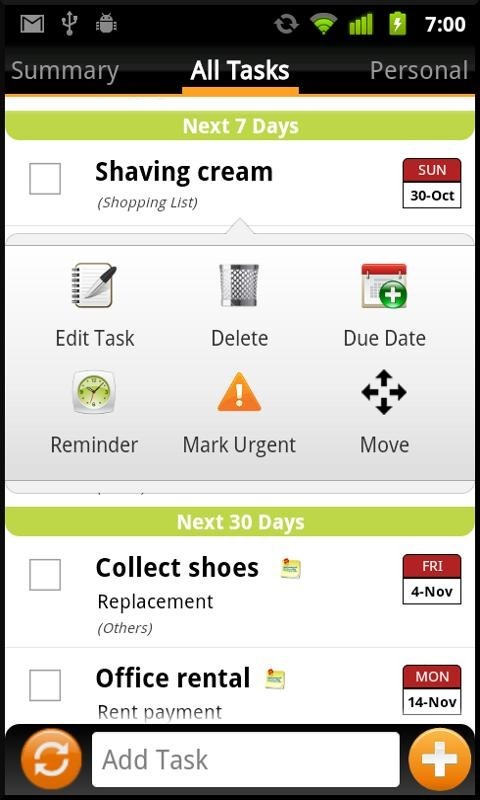 With Tasks N Todos from Handy Apps. 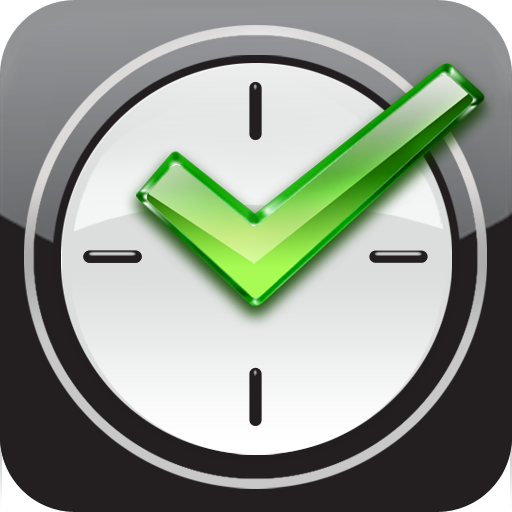 This is a killer all-in-one solution for taking away your "I forgot" approach to not getting things done. 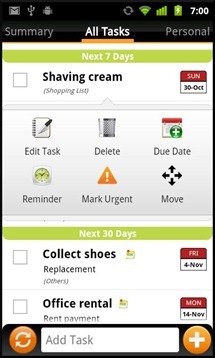 For starters, it syncs with Google Tasks, so if you have access to GMail, you have access to your task list. 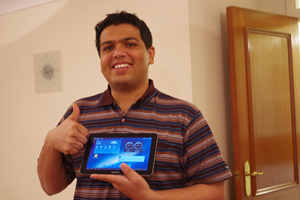 Furthermore, it stays synched up with your tablet and phone, both of which have their own respective interface. Can you start to feel your forgetfulness slip away? I hope so. 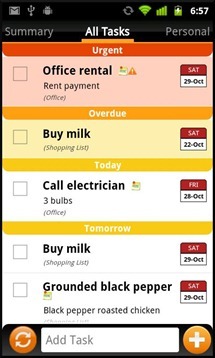 The advantages of using Tasks N Todos doesn't stop there, though; it also has reminder notifications (one-time or repeating), filters and sorting, drag and drop functionality, swiping gestures for easy switching between task lists, a homesscreen widget, backup and restore to the SD card, and more. Sound good? It should, because this app is solid. There are two versions of Tasks N Todos available: a freebie, which offers the most basic features; and a pro version which offers some advanced features, like multiple photo attachments and allows for custom notification tones. After spending a bit of time getting to know the app (for this giveaway, no less) I fell in love with it almost instantly and picked up the pro version. 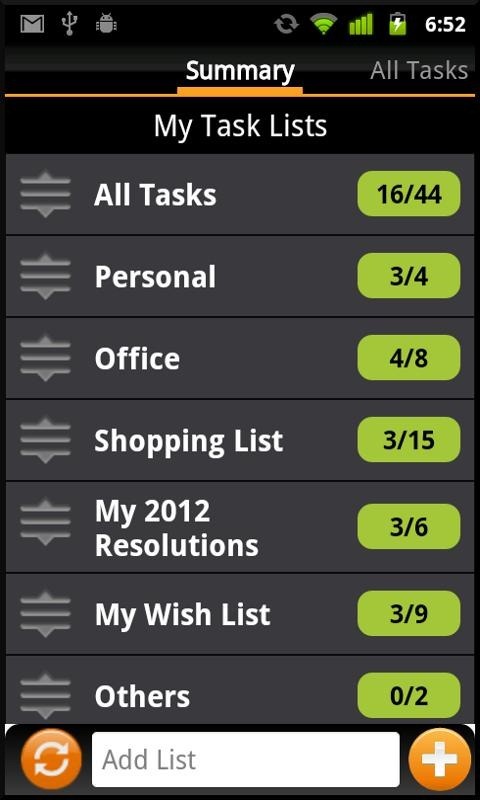 To accompany your increased productivity, Handy Apps, the creator of Tasks N Todos, wants to give some stuff away. What type of stuff might that be? 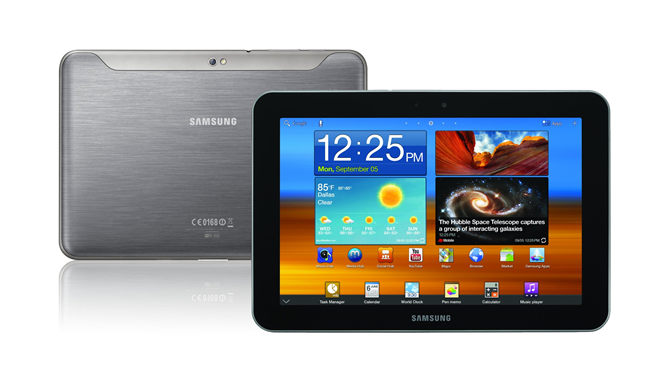 How about a Samsung Galaxy Tab 8.9 Wi-Fi 32GB for one grand prize winner, and a license for Tasks N Todos Pro for 10 runners-up. Now that we've whet your appetite for a new gadget and free software, how can you make it yours? Pay very close attention to this part. If you miss even one step, guess what happens? You don't win. Even if we pick your name, you still lose. First step in the entry process is to go like the Facebook page for Tasks N Todos. Do it now, we'll wait. 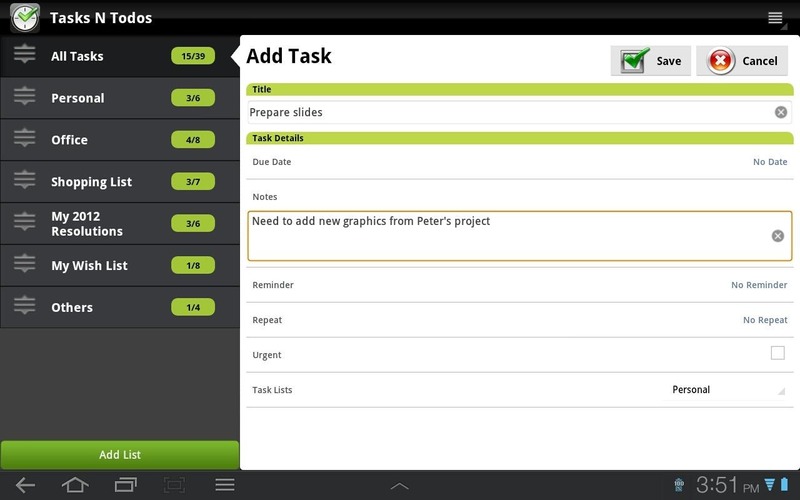 What is your favorite feature of Task N Todos? Wait! Before you run off to tell us what you love about TNT, there is one more thing to be aware of: you must use the name from your Facebook profile in the 'Name' category of the comment box below. There is no exceptions to this! If you use the name 'AndroidMan' to enter, yet your Facebook profile is listed as 'Jerry Schmuck,' guess what happens if we choose you as the winner? Nothing. You get nothing! Since we're all about this Rafflecopter thing now (trust us, it makes giveaways much easier), you have to hit the widget below to complete your entry. Otherwise, we won't actually know you entered. Got it? This giveaway begins immediately, and will run for one week, ending on February 28, 2012 at 12:01 AM EST.Shortly after that, the winners will be randomly chosen and notified, given they actually followed all the instructions. Ready to enter? Go nuts. The Contest begins February 21, 2012 at 6:00 PM Pacific Time and will continue until February 28, 2012 at 11:59 PM Pacific Time (the "Deadline"). All entries must be received before the Deadline to be eligible to win the Prize. One (1) eligible entrants will be chosen by the Contest Provider at random as “Winner,” and each will receive a “Prize,” one (1) Samsung Galaxy Tab 8.9, estimated retail value $569. Contest provided by Android Police. Prizing provided by GetJar. Any questions regarding the Contest should be directed via e-mail to Artem Russakovskii at [email protected].